and computational capacity needed for their research. Say that you want to do some calculations on your large set of data, without moving the data; say that you want to do some artificial intelligence analysis, machine learning analysis, post processing, but you do not want to bother yourself with software installation and time-consuming IT-task to enable a platform for your research; say that you need GPUs to do your data intensive analysis; say that you want all your co-workers to be able to run on the same installation no matter where they are and which institution they are affiliated to, for the sake of the reproducibility of the results. If you say so, then you need the NIRD toolkit. What is the NIRD Toolkit? How do I access the NIRD Toolkit? Who can use the NIRD Toolkit? The NIRD Toolkit is a Research Platform as a Service and gives you access to a number of software packages and a computing platform to run your analysis. The NIRD Toolkit is a kubernetes based cloud infrastructure, just alike Google, Azure or Amazon kubernetes Clouds. The software runs into containers to ensure high portability of the tools and reproducibility of the results. It is highly customizable, meaning that you can have the tools you want with the version you want. 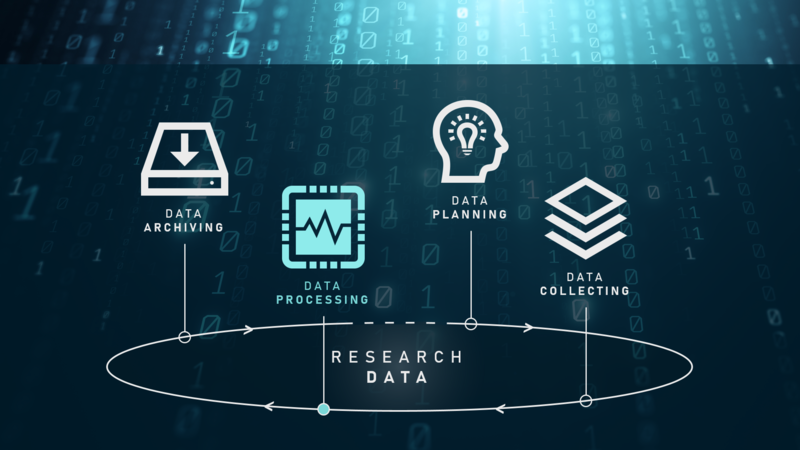 The NIRD toolkit allows pre/post processing analysis, data intensive processing, visualization, artificial intelligence and machine learning platform. The computing platform is located in Tromsø, but a copy of the same hardware will be set in production in Trondheim by the end of 2018, thus doubling the NIRD Toolkit computing power. The GPU resources will also be doubled by the end of 2018, and further expansions are expected in 2019. The NIRD Toolkit can be enriched with more tools. If your favorite tool is not yet offered by the NIRD Toolkit, please contact us. Only project members of a NSxxxxK project can deploy application through the NIRD Toolkit. If you do not have a NSxxxxK project in place - please get in contact with us. More about NSxxxxK projects here. If you are a Project Leader or an Executive Officer of an existent NSxxxxK project, then you can get ready to deploy and manage applications through NIRD Toolkit by reading the tutorial. Select a tool from the NIRD Toolkit front page and click on the corresponding icon. You will be redirected to a Feide login page. Log in with your Feide identity or your OpenIDP identity to proceed to the front page for the selected tool. On the right hand side, select "Installation" to install the service. You will be redirected to the installation page for the selected tool. From the "Projectspace" drop-down menu select, select the projectspace (es. : jupyter-mouse-genome-NS9999K) under which the application will be running. Notice that the projectspace is "mini-enviroment" that has been created for your application in the kubernetes cloud by the NIRD support operators. You will be able to configure this mini-enviroment by assigning computational resources (defined by "Machine Type") and data storage (defined by "Persistent Storage") to it. If you have access to multiple project spaces, the drop-down menu will show you all the project spaces that has been enabled for the NIRD Toolkit. If you do not have any Projectspace enabled, contact us. From the "Persistent Storage" drop-down menu, select the project storage (for example NS9999K) place where your input data are located and where your output data will be stored. If you do not have a NSxxxxK project, read here. Select a "Machine Type" that best suits your needs in terms of CPU/GPU and memory (RAM). You will see GPU machine types only under GPU enabled applications. In “Autorised groups”, select the groups whose members should be authorized to access this application instance. You have multiple choices: i) you can choose only yourself (Default) which means only you can access this application; ii) you can choose any members of projects you are associated with (es: NS9999K, NN9999K); iii) you can give to the members belonging to your groups in DataPorten: this gives you flexibility to control who can access your application as well as enable collaboration across your team members irrespective of from where they are in the world. In Authorised groups you can choose one or more groups (es: Default and NS9999K). Click "Install" to start the installation of the application on the selected computational resources and with the selected storage. After some seconds (it might take up to a minute!) you will be redirected to the administartion page for your application. Once the installation is completed, you will get the link ("URL") to access the tool via web-browser. Your installation has been successful and you have now your instance of application running on the selected resources and on your storage space. Click on the link (URL) on top to access the tool via web-browser. On the right hand side, you will also be able to "Reconfigure", "Delete" or "Stop" your application. Once you have finished with the analysis, you can either delete your application or stop it, so that resources get freed up for others in your group to use them. Data stored on “Persistence Storage” will remain intact in either case of stopping or deleting application. Remember: if you do not stop/delete you keep busy resources that might be instead used by others!!! ​Good Luck with the NIRD Toolkit! For more info on how to work on the NIRD Toolkit, read here. Access to the services and the computing resources on the NIRD Toolkit is free of charge. A contribution model might be applied in the future (late 2019). In order to be able to deploy applications through the NIRD Toolkit, a researcher must be a project leader/executive officer of a NSxxxxK project. The project leader/executive officer can authorize others members of the NSxxxxK group to deploy applications, by managing the group in DataPorten. Once the application is deployed, all the members of selected “Authorised groups” can use the application. If you want to start using the NIRD Toolkit, send an e-mail to sigma2@uninett.no . If you are already running on the NIRD Toolkit and you need support, send an e-mail to our operators: support@metacenter.no . For information about planned and unplanned downtime of the service, please check the operational log.